“Today, 64% of American citizens are overweight, not to mention the 30% of those people that are obese,” according to msbc.msn.com. 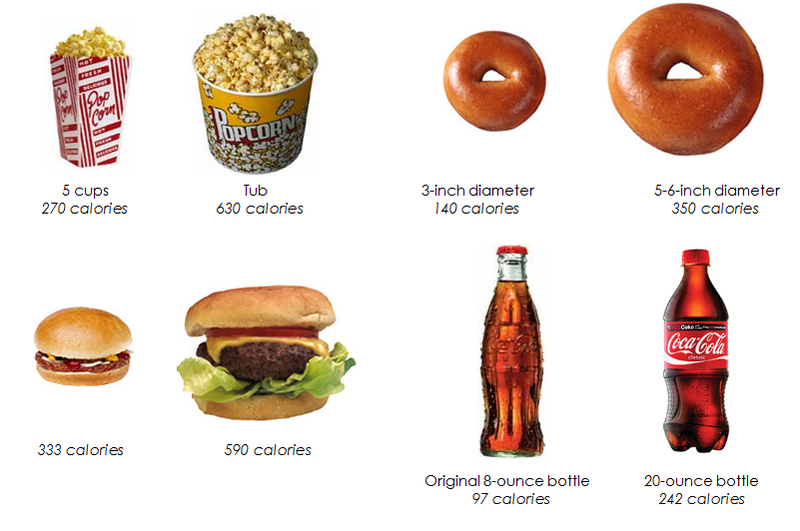 The large “portion sizes” we are given are also within convenience foods, as well as restaurants. Congress should create a law that forces all restaurants to serve correct portion sizes. Portion sizes are growing more extensive over time, and customers are not being informed of it. According to the CDC, “Portion sizes of food began rising in the 1970s and continues to increase.” "Depending on the fat and water content of different foods, you could eat twice as much as you think or half as much [when eating out]. Also, it depends on the size of the plate, how much cheese is hidden inside the dish and so on," stated Susan B. Ruberts, PhD professor in nutrition and psychiatry department at Tufts University in Boston and author of 'The Instinct Diet (Workman). Over time, portion sizes have increased causing deception towards consumers. When portion sizes are small, it helps decrease obesity. "A lot of times, presented with the information, you will make a better food choice," stated Simeon Holston, 33 (accountant); according to msbc.msn.com. Also according to a report on msbc.msn.com, “The medical cost of obesity is nearly $93 billion,” which is horrible. In the fight obesity, portion sizes should be cut down to help promote healthier lifestyles. Some people may argue that the small portion sizes don't fill you up. Some others may believe that food is a go to when they have feelings like depression, anger, and fear. It's an understandable concern, however, eating the correct portion sizes keep people healthy. Today, the medical cost of obesity is almost $93 billion! In conclusion, the only solution is that congress should create a law that has all food establishments serving accurate serving sizes. Citizens of the United States should definitely write letters either to their state representative, or the president. State representatives and the president should not dismiss these concerns and take the idea into consideration. “More than half (63%) of Americans are overweight, and half of that (30%) are obese”, according to an article on msbc.msn.com. Without a doubt, proper serving sizes can help make a healthier world; with a healthier world, people are happier. One question I have about your topic is, what will company's who make food react to this?. Will they agree because they will serve less for the sam amount of money? Or, will they disagree because their consumers will argue that its not enough? If they disagreed, which they probably will, I had the idea of a fat tax. It's when, if you want more food, you have to pay more. I think it would have some people spending less on food because they won't want to pay more for more food. I like how you added statics and the part I really loved is when you said, "Congress should create a law that forces all restaurants to serve correct portion sizes." I don't really agree with smaller portion sizes but great editorial though. I agree with your editorial. The school lunches aren't as healthy as it it should be. This can be a major health concern for students.